Tone is the attitude a cartoonist takes towards a subject. 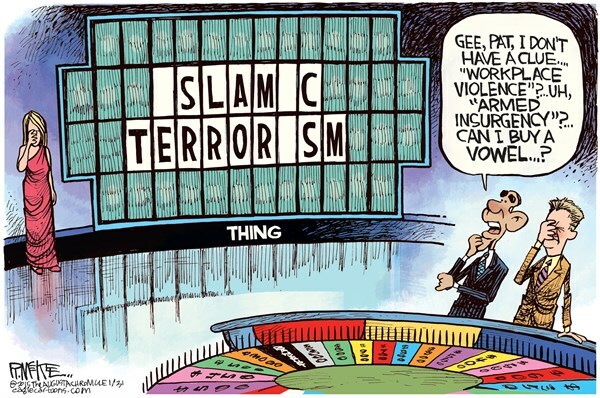 This cartoon highlights the Obama administration’s refusal to use the term “Islamic terrorism” when describing Islamic terrorist groups like Al Qaeda, ISIS and Boko Haram. At the end of January, White House spokesman Eric Schultz, when explaining the administration's decision to negotiate with the Taliban, insisted it was not a terrorist group but "an armed insurgency." Which word best describes the cartoonist's tone?